societies. The first, (1818) prospectus of the college, highlighted instructing the youth in “Eastern Literature and European Science” and teaching Asian languages like Persian, Sanskrit, Arabic as well as English as means of holistic education. The Serampore trio introduced the pedagogical methods and curriculum that were prevalent in Europe of their time. Since the time of Serampore trio revolutionary changes have taken place in the academic world. So as the Senate revisionsitself from the perspectives of its legacy, some new directions need to explored for being effective instrument of transformation and renewal in the society. 1. Integrating theological education with higher education through appropriate collaborations in academic areas with Christian colleges, universities, and other research institutions. 2. Incorporating the research findings from various fields of academic study, anthropology, sociology, psychology, cosmology, history, science in theological studies and reconsidering various segments of inherited Christian views and cosmology. 3. With 200 years of experience in engaging in theological education, the Serampore theological communities have the resources that they can be shared with the neighboring countries and beyond. The South Asia Theological Research Institute (SATHRI) can be pro-active in this task and a channel of resource sharing. The Program for Theology and Cultures in Asia (PTCA) and the Foundation for Theological Education in South East Asia (FTESEA) joint consultation on “Revisioning Innovative and Transformative Theological Education in Asia in the Context of Proliferation and Quest for New Forms of Education/Formation,” was hosted by Sabah Theological Seminary, Kota Kinabalu, Malaysia from September 12-16, 2018. Altogether 27 participants from ATESEA, ATA, ATEM, PERSETIA, SSC, SPATS, and CCC-TSPM attended in this historic conference. A participant from the University of South Africa and four members from FTESEA including the Chair, Vice-Chair, and a Board member along with Dr. H.S Wilson, Executive Director attended the consultation. Six participants from PTCA along with Dr. Wati Longchar, Dean of PTCA, and the Vice President for Programs of the United Board of Higher Education in Asia attended the conference. On the first day, five researchers presented case studies on proliferation of theological education in Indonesia, Myanmar, Malaysia, India and South Korea. On the second day, challenges and prospects for theological education in Bangladesh, China, Hong Kong, Philippines, Thailand-Mekong were presented. Following that Wong Wai Ching from United Board, Marilyn Naidoo from University of South Africa and Huang Poho from Chang Jung Christian University presented the challenges and prospects of theological education in the context of secular/public education in Christian colleges/universities. In the context of changing senario of Asia, the representatives from ATESEA, SPATS, SSC and ATA shared short-term and long-term theological support mechanism. And finally, ecumenical partners from FTESEA, United Board and Asia-Pacific Forum-North America shared their program priorities for possible partnership towards strengthening theological education in Asia and the Pacific. The case studies revealed that proliferation of theological education is meeting the quest for theological education by different segments of Christian communities as bulk of theological institutions are denominationally based and offer inherited curriculum from the missionary past. However, without the willingness to cooperate with each other and the existing theological education programs, they weaken theological education and formation and lead to unhealthy competition, fragmentation and quality of theological education. The participants recognized that theological education needs to focus on the formation of the whole people of God; it should not be narrowly confined to training of clergy. In the context of poverty, illiteracy, different forms of violence, urban-rural divide and growing religious fundamentalism, Christian communities need multi-forms theological education that cater to the needs of diversified contexts. A crucial concern in Asia is the need of contextualization of theological education. The inherited traditional western fourfold curricula (Bible, theology, church history and practical ministry) pattern of theological education is still prevailing in Asia and it is not liberative and transformative. Asian contextual issues are different and it is difficult to insert/integrate new emerging courses within this paradigm. Asian theological educators must thus seriously engage in developing curricula relevant to Asian Christian context, since majority of Christians are from socially and economically poor backgrounds. We cannot talk about transformative theological education without addressing the problem and issues faced by the people in the margins. The issues, problems and context of the people in the margins are crucial intransformative education. This calls for restructuring or developing alternative theological curriculums viable to Asian realities as life-affirming and transformative. The participants also recognized that participation and contribution of women in theological education is a serious concern though attempts have been made by many theological institutions to promote women in theological education. It is affirmed that more effort needs to be done in pedagogical and curricula areas. Theological fraternity should continue to give priority to women’s leadership development. The leaders of theological education stakeholders affirmed that respect, openness and solidarity are key to healthy growth. The participants vowed to continue working together towards a structure where institutions collaborate for sustainability and ensuring quality theological education in Asia and come together in a common platform to promote mutual learning and collaboration, resources sharing and contextualization of theological education. The participants also affirmed that considering Asian economic, cultural and multi-religious context, the respective constituent bodies launch a pilot curricula program to develop innovative and transformative curriculum in Asian context. It was also agreed to promote more exchange programs among for doctoral students and faculties in Asia and Pacific by all the stakeholders. The participants recognized the importance of ecumenical partner’s support in faculty development especially those who are interested in community transformative studies. Asian colleges will be more benefitted if partners give priority to those scholars who are interested to do research on Asian issues in Asia. The participants further identified theological resources and digital library resources sharing as priority in which the support of mission partners are crucial. The new community transformative curricula needs to be accompanied by teacher’s institute and production of theological resource books in Asia. 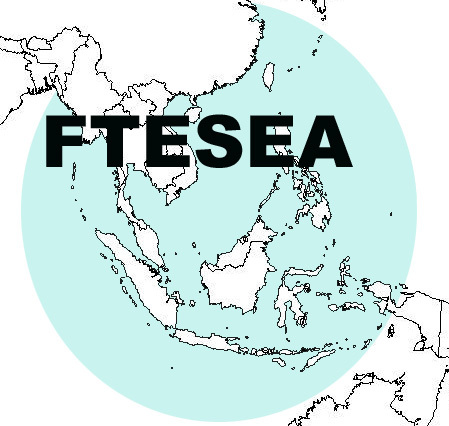 We urge FTESEA to give priorities in those initiatives. The participants of the conference concluded with a note of gratitude to FTESEA and PTCA for their continued commitment, support and partnership in strengthening contextualization of theological education and theology in Asia.